Call 484-373-4575 to schedule your first appointment. If you've experienced any changes in your hearing, you might be able to benefit from using Miracle-Ear® hearing aids. Miracle-Ear is America's most recognized brand of hearing aids, and we've built a loyal customer base at our local hearing aid center. We serve customers from Paoli, Berwyn, Devon, Wayne, Valley Forge, and the surrounding areas. We can give you an overview of how our products can improve your ability to participate more fully in social activities. Our GENIUS™ Technology has a series of controls that can be set to your listening needs by our certified hearing care specialists, and we can show you how to adjust your sound with the GENIUScontrol app* if you have a smartphone. We also offer models which create more natural sound. Our network has more than 1300 locations nationwide, and you can receive ongoing service at any Miracle-Ear location. Each hearing care center is independently owned and operated by dedicated hearing care specialists. If you've been searching for hearing aids in Paoli, PA, give us a call. With our assistance, you'll be able to ease any stress you've felt when straining to hear others, and you can feel more confident going out to try new activities and explore the world. Discover and experience the Miracle-Ear® advantage today. 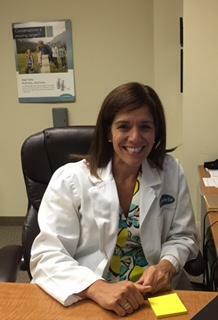 Francesca is licensed by the PA Department of Health, is a M-E Certified Hearing Care Professional, and a multi-Platinum Club Award recipient. Hello, my name is Bob Kiefer. I started with Miracle Ear back in 1987. Currently as the Hearing Aid Fitter, I do all the testing in the office. I strongly believe in educating all the patients that come in about hearing health. 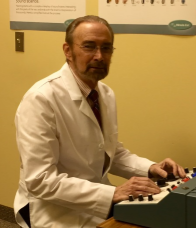 If you get the chance to come into our location, you will see why so many of our patients have put their trust in Bob to have a better quality of life being able to hear things that you haven't heard in a while. 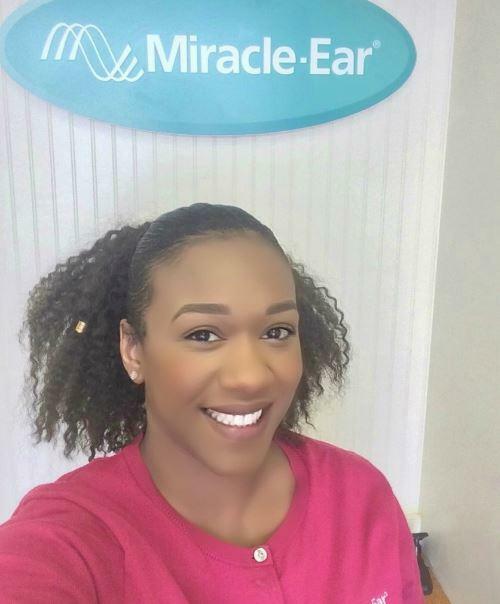 My name is Taylor McFarland, I have been a part of the Miracle Ear Team since 2010. 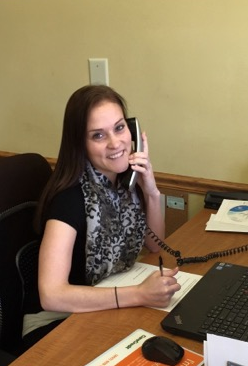 I first started as a Front Office Assistant and worked my way to become an experienced hearing aid service technician who is trained to help you with all of your communication needs. One of my many jobs here is to give each and every patient the best customer service possible. I enjoy seeing my patients leave the office happy and enjoying the quality of life that they were missing before. 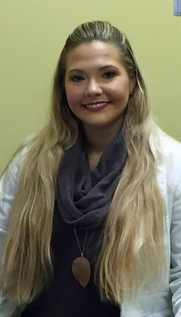 My name is Lindsay, I am our Front Office Assistant. I have been with the Miracle Ear family for the past 3 years now. I enjoy meeting and talking with all our patients that come into my office. It gives me great pleasure to get them the help that they need to be able to hear better again. My main goal is to have each and every patient walk out of our office satisfied with the help they received each visit. The product service and staff were all excellent. The product is as advertised, easy to use and reliable. Janel, my technician gave me reliable instruction and spent as much time as I needed to get me comfortable with my Miracle Ear. It’s completely a satisfying experience. I was nervous and reluctant about the whole process of obtaining hearing aids. Janel put all my concerns to rest and made the whole experience very comfortable. Janel is extremely knowledgeable and helpful. Lindsay is wonderful and very service oriented. Miracle- Ear really helps me and drowns out all the noise. I enjoy coming here! The personal here is very courteous and very helpful. I am very satisfied with my Miracle Ear's. They are very east to adjust to. I can hear things much better now. My adjustment went very well. It wasn't a scary process at all. It feels like I don't have anything in my ears and I can hear everything! Glad to have received a Miracle Ear. After my first examination with the staff of Miracle-Ear, I did not have any uncertainty of not following up on my next appointment. I found the staff to be cordial, friendly, medically certain of their profession, and how to treat first time persons. I would recommend others in need of hearing help to Miracle-Ear.